Rooting is the process of allowing users of smartphones, tablets and other devices running the Android mobile operating system to attainprivileged control (known as root access) over various Android subsystems. As Android uses the Linux kernel, rooting an Android device gives similar access to administrative (superuser) permissions as on Linux or any other Unix-like operating system such as FreeBSD orOS X.
Rooting is often performed with the goal of overcoming limitations that carriers and hardware manufacturers put on some devices. Thus, rooting gives the ability (or permission) to alter or replace system applications and settings, run specialized applications ("apps") that require administrator-level permissions, or perform other operations that are otherwise inaccessible to a normal Android user. On Android, rooting can also facilitate the complete removal and replacement of the device's operating system, usually with a more recent release of its current operating system. Any Android smartphone or tablet can be easily customized and optimized by completing a series of custom operations. Among these procedures, maybe the most important step to complete is to gain root access as in this way you can unlock the internal system of you device. 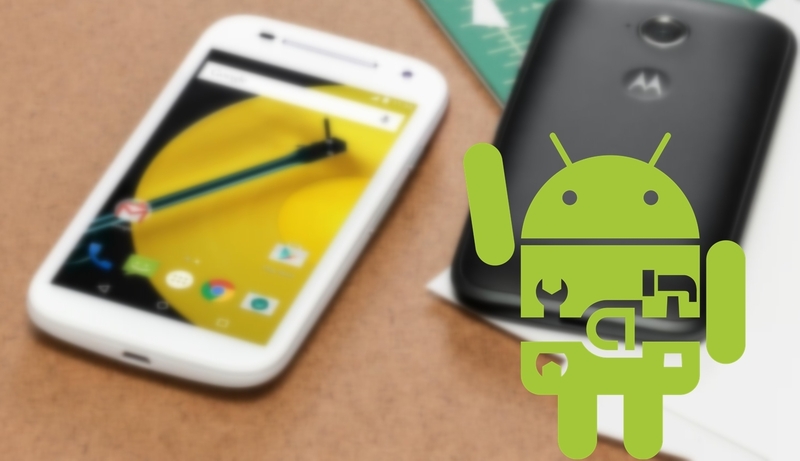 Due to same reasons, if you own the Motorola Moto E, maybe you will want to take full advantage of its capabilities and why not, maybe you will want to improve its performances. Since the root procedure isn’t official, by completing the same you will void the warranty of your Motorola Moto E. Unfortunately this aspect can’t be avoided, so if you are a newbie and you think that you might end up in bricking your handset (everything will be fine if you follow this tutorial) maybe the best will be to stop going any further. Anyway, you should also know that the warranty can be afterwards restored by revoking root access, or by re-flashing the stock Android OS on your phone – manually as on a rooted system you can’t receive OTA roll outs. From here download the SuperSU app file. Place this file on your computer, preferable on desktop – don’t unzip it. Then connect your Moto E with your PC by plugging in the USB cord. Up next, transfer the root file from desktop to your phone’s SD card. Unplug the USB cord and turn off your device. Enter recovery mode on your Motorola Moto E.
Then from recovery select “install zip from SD card” followed by “choose zip from SD card”. Pick the root file which you have downloaded before and flash the same on your Moto E.
Wait while the installation procedure is being completed. In case you are experiencing issues with your phone, return to recovery and select “wipe data factory reset”, “wipe cache partition” and “wipe dalvick cache”. In the end, return to main menu of recovery and pick “reboot system now” – that should resolve all of your problems. Congratulations, you have successfully learned how to root your Motorola Moto E.